Jane Schlicht focuses her practice in complex business and intellectual property litigation and contracts that are related to these areas. She has substantial experience in the litigation of disputes at both the state and federal levels throughout the country. Ms. Schlicht counsels and advises her clients on matters involving patents, trademarks and copyright infringement, as well as disputes involving restrictive covenants and trade secrets. She also handles trademark and copyright registrations and Trademark Trial & Appeal Board (TTAB) proceedings, and counsels her clients in business contracts and transactions. Additionally, Ms. Schlicht assists clients in drafting website development contracts, including agreements for websites that must comply with the Payment Card Industry Data Security Standards (PCI DSS). 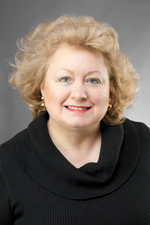 Ms. Schlicht joined Hinshaw & Culbertson LLP in October 2011. Previously she was a shareholder in other business and litigation firms. From 2000 to 2006, Ms. Schlicht was a member and Chair of the Special Preliminary Review Panel of the Wisconsin Office of Lawyer Regulation, having been appointed by Chief Justice Shirley Abrahamson. She was also appointed to the Advisory Committee to study cost and delay in the Wisconsin federal court system by then-Chief Judge Robert W. Warren. In addition to her other law school accomplishments, Ms. Schlicht was the Student Articles Editor of the Marquette Law Review. "Protecting Your Business Against Theft of Customers and Trade Secrets," Hinshaw's Annual Labor & Employment Seminar, Hoffman Estates, Illinois, October 2016. "Noncompetition Clauses," Contract Drafting Issues in Wisconsin, Madison, Wisconsin, January 2016. "Advanced Intellectual Property Law," Recent Developments in Copyright Law, webcast, National Business Institute, December 2014. "Non-Competition and Other Restrictive Clauses in Wisconsin," Milwaukee Bar Association, Milwaukee, Wisconsin, March 2014. "Non-Competition Clauses," at the State Bar of Wisconsin’s "Contract Drafting Issues in Wisconsin" conference in Madison, Wisconsin, January 2012. "Contract Law in Wisconsin," co-author, State Bar of Wisconsin. "Challenges in Defending IP in the Age of the Internet," co-author, Chapter 8, Thompson Reuters Westlaw’s Aspatore Books publication entitled, "Managing Intellectual Property in Cyberspace: Leading Lawyers on Developing an Effective Internet IP Strategy," 2012 edition. "Upholding the Sanctity of the Attorney/Client Privilege," The Wisconsin Lawyer, December 2004. "Offers of Settlement in Wisconsin Diversity Actions: Opening the Doors to Plaintiffs," The Wisconsin Lawyer, October 1996.